Whatever judgemental non-parents might say, it is often not possible to personally supervise every second of a child’s game time, especially once they get older and they may be home alone for a while after school. Unfortunately console parental controls often feel like they have been designed by people who don’t actually have to parent in real life. They can be inflexible, offering the ability to block games based on age rating but not to add exceptions if, for instance, you’re okay with your nine-year-old playing a 12-rated Spider-Man game. And if you have to enter a password every time your kid wants to play something, it can be more trouble than it’s worth. 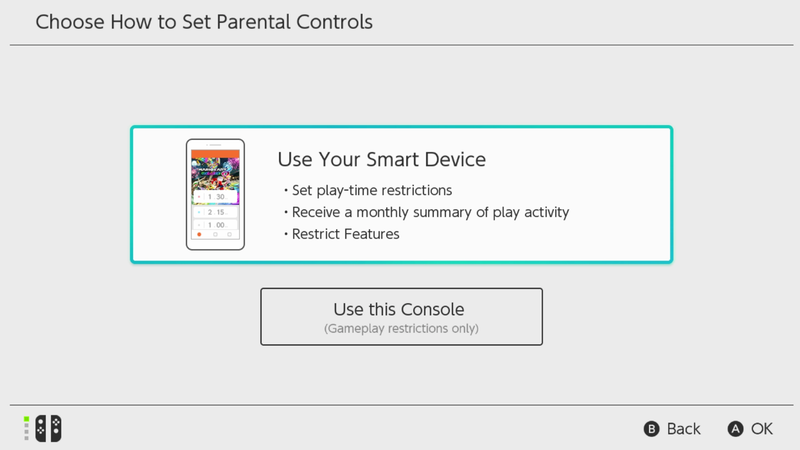 Having the parental controls on an app rather than the actual console is a genius idea, because it means kids can’t get in there and fiddle with the settings (or disable them entirely). 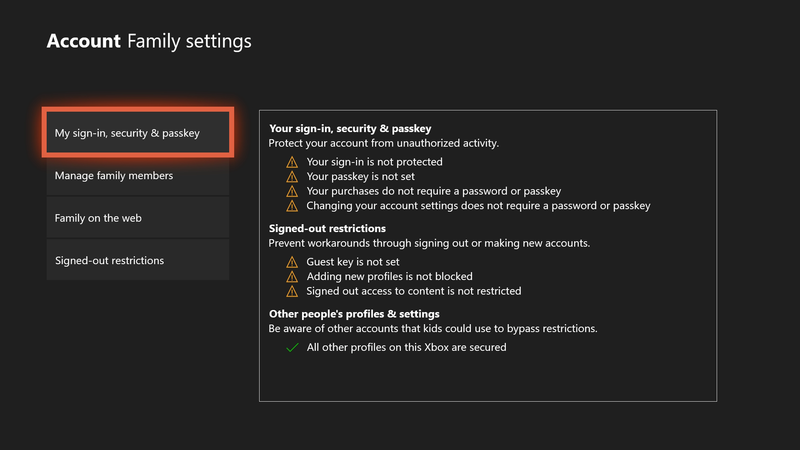 It all syncs pretty much instantly with the console, so you can change or lift restrictions on the fly. You need to register for a Nintendo account to use the app, if you don’t have one. The problems with this setup are manifold. If you’re okay with your younger child playing a 12-rated Spider-Man game but not 12-rated Fortnite, you’re screwed. It leaves no nuance for making your own decisions about which games are and aren’t allowed. Also, limiting all user-generated content or none of it is unhelpful. UGC is a huge element of lots of games that kids play now; you don’t want them to miss out on all of it, but given the ineffective moderation in most online games, you also don’t want to expose them to really inappropriate stuff. So, which is best? 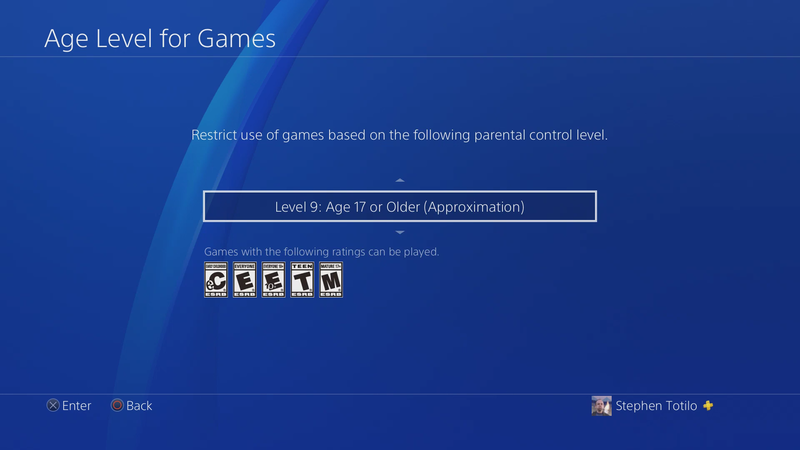 In my experience, the most useful elements of parental control settings are play timers that prevent kids from trying to sneak onto the console when they shouldn’t be, granular online safety settings that let your child communicate and share with friends but not strangers, and a whitelisting feature that lets you age-restrict games but allow specific exceptions. None of the consoles has all of those things. Correction - We originally stated that the Xbox One does not allow parents to set screen time limits. It does, as explained here. We apologise for the error and have updated the post accordingly.